Apple has finally raised the curtain on its latest mobile OS for iPhone, iPad and iPod touch – iOS 9. There was a lot of talk on how the iPhone maker’s upcoming mobile OS would be more tamed and tolerant of older devices, and it seems like Apple has managed to deliver on that very prospect, though time will be the true test of that. Wondering if your iOS device will live to see this release? A complete list of compatible devices with iOS 9 can be found below. Given the yearly cycle Apple adopts for updating its mobile OS, the company does – much to many users’ dismay – leave a few older devices out in the cold, and if anything, the iPhone 4s and the fifth-gen iPod touch would be feeling the chilly breeze right about now for obvious reasons. The devices in question had a tough time keeping up with iOS 7 let alone iOS 8 and its huge footprint on the hardware resources, including the storage given how huge (literally) the release was. Surprisingly, and much to a lot of users’ excitement, the Cupertino giant will persist with all devices that were iOS 8 supported; yes, that means iPhone 4s and iPod touch 5G as well. Bet you didn’t see that coming, did you? But seriously, Apple was long due for making up to users given the huge footprint iOS 8 continues to leave behind. Apparently, iOS 9 will be a slightly smaller update compared to iOS 8, one hopefully not requiring complete erasure of content on 16GB devices. Note: While iOS 9 will work on older devices, but it’s not necessary that each and every feature would work on them. 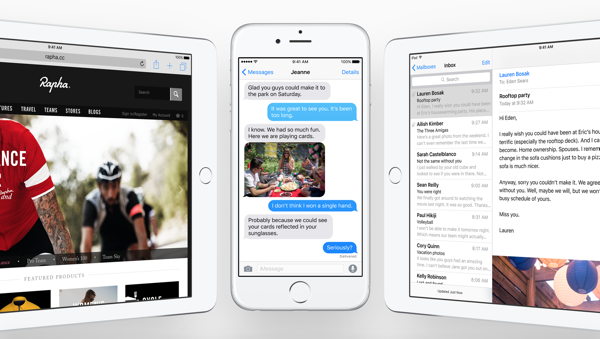 Apple has already released the Developer Beta 1 of iOS 9 to let devs take the new pre-release OS for a spin. Meanwhile, Apple has announced that a public beta of the OS will be released somewhere in July, followed by the final consumer release this fall. And oh, will you update to iOS 9? Do let us know in the comments section below. Gave up my jailbreak on 8.1.2 for iOS 9 beta 1. No Proactive on iPod 5.
iPad 3 may be compatible with iOS 9, but multitasking feature is NOT. Why not iPhone 4 too? Because of hardware limitations, and Apple’s planned obsolescence. Good thing that Apple still added support for the 4s even if it is four generations behind.